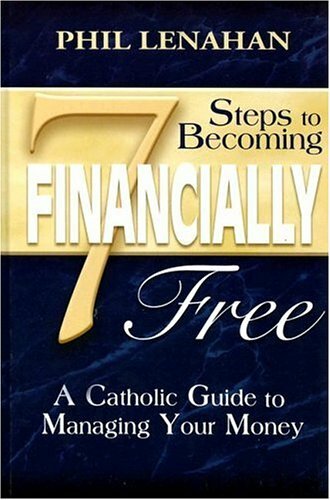 Packed with anecdotes and real life experiences, 7 Steps to Becoming Financially Free offers a solid Catholic perspective on how to make the most of God's generous gifts. In addition to understanding the necessary nuts and bolts of financial management, budgeting, and investing, discover how your Catholic Faith can be the base of a sound financial future! ... and all the while, staying true to how God intended for you to manage His gifts. 7 Steps to Becoming Financially Free walks you through the Catholic teachings regarding wealth, being good stewards and trusting God's plan, and then launches you into solution after solution of managing your money effectively. Here is how to take the gifts God has given you -- your skills, your education, your training, your income -- and using them as He intended. Here is how to not just get out of debt and begin saving, but to wisely and deliberately set budgeting priorities and achieve financial goals that reflect what you believe as a Catholic. Don't forget the 7 Steps to Becoming Financially Free Workbook (9781592762538), providing a step-by-step procedure guiding you from concept to reality. A "must have" supplement!